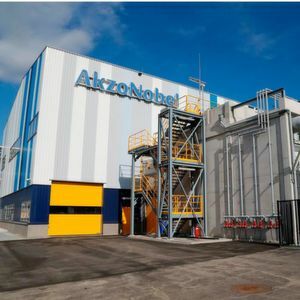 Amsterdam/The Netherlands — The company recently completed an initial chloromethanes expansion that increased capacity for the chloromethanes methylene chloride, chloroform and carbon tetrachloride. The new expansion phase will begin with an increase in capacity for methyl chloride, to be completed in 2020. Further investments are also planned to improve supply reliability and to expand chlorine production, the key raw material for chloromethanes. The measures are intended to support growth of customers that use chloromethanes in the manufacture of products such as pharmaceuticals. Commenting on the plans, Knut Schwalenberg, Executive Committee Member responsible for Industrial Chemicals, said that the continued investments in both chlorine and chloromethanes production would increase reliability of supplies across the entire value chain to support the growth plans of their customers, while increasing energy efficiency thanks to the use of the latest technology. Chloromethanes are used as intermediates in the production of pharmaceuticals, agrochemicals, refrigerants, silicone polymers, and fluoropolymers, and are important raw materials for the construction and automotive industries, water treatment, cookware, and electronics. 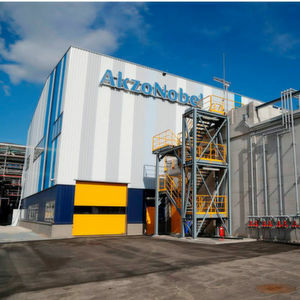 Werner Fuhrmann, CEO of Akzo Nobel Specialty Chemicals, sees strong growth in demand for chloromethanes and derived products from customers in emerging markets, such as India, for the manufacturing of pharmaceuticals and construction materials. Therefore the company would be well positioned to capture part of this growth by investing in additional capacity in Frankfurt. In addition, the improved energy efficiency would provide significant sustainability benefits for the company, he added.